The visa changes will affect prospective skilled migration visa applicants, businesses sponsoring skilled migrants, as well as all points-test based visa applications. From 1 July 2018, many governmental initiatives will be implemented which will deeply impact Australia’s migrant community. This includes a series of reforms on various skilled visa categories in Australia’s migration program. The Government is changing the eligibility requirements for some permanent skilled visas “to better align the permanent and temporary programs”. The department claims that these measures are intended to sharpen the focus of Australia’s skilled migration programs, to ensure they better meet Australia’s skills needs. 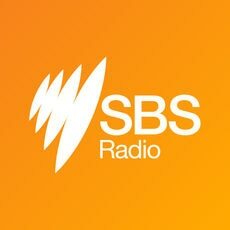 Ranbir Singh and Rohit Mohan of Lakshya Migration told SBS Punjabi that prospective visa applicants will face “new hurdles” to meet the recently toughened requirements. Listed below are some changes recently announced by the Federal Government and the new arrangements for the skilled migration visa applications. Australia’s skilled migration program is a points-based system designed to attract highly qualified and experienced professionals to best meet Australia’s skills needs. The government announced that from 1 July 2018 the points threshold will now be increased from 60 to 65 for skilled – independent, nominated and regional sponsored visa categories. Visa applicants in skilled migration program will face another hurdle after the federal government announced significant changes in the point system effective from 1 July 2018. The visa scheme aims to attract highly skilled workers to deliver innovation to Australia’s tech industry. It consists of two streams - the start-up stream and established the business stream. In order to sponsor the foreign workers, the employers will first need to prove their track record of hiring and training Australian workers. According to migration agent Ranbir Singh, the scheme is similar to existing entrepreneur visa and it may have been introduced to complement the skill shortage generated after the closure of the controversial 457 visa scheme. The government is hoping to generate $410 million dollars over a four-year period from 2017 to 2021. In partner visa applications, the prospective applicant will now need to pay $7,160 instead of $7,000. The fee for Business Innovation and Investment (Subclass 188 Provisional) visa in the Premium Investor stream will record the highest hike of $190. Applicants will now have to pay $8,770 instead of $8,580. The application fee for some visas has risen by nearly $300 since July 2017. Earlier, applicants for general skilled visas whose spouses and de facto partners were under 50 years of age, were able to claim additional five points. The changes introduced will apply to Skilled Independent visas Subclass 189 and Subclass 190 and Skilled Regional Subclass 489 with effect from 1 July 2018. Government plans to implement the Skilled Australians Fund for employer-sponsored visa categories. This will be followed by the introduction of a training levy also known as Nomination Training Contribution Charge (NTCC) for the respective sponsors. Employers and businesses seeking to nominate a worker will need to pay NTCC for the following visas: Temporary Skill Shortage (TSS) (Subclass 482) visa, which is replacing visa subclass 457; Employer Nomination Scheme (ENS) (Subclass 186) visa; and Regional Sponsored Migration Scheme (RSMS) (Subclass 187) visa. For 482 visa, an annual fee of $1200 would be implemented for each nomination for a business that has a turnover of lesser than 10 million dollars. A fee of $3,000 is set for an employee on a permanent skilled visa (186 and 187 visas). Migration experts claim that in the next few months, regional industry body groups may exert pressure on the government for easing out conditions for visa related to Employer Nominated (EN) and Regional State Migration Scheme (RSMS). Ranbir Singh told SBS Punjabi there are very few options available for international students under the Employer Nominated Scheme (TSS, ENS, RSMS) and it’ll lead to a spike in the lodgement of General Skilled Migration or GSM visas (489, 189, 190 and 887). Qualification points to secure an Expression of Interest (EOI) are also expected to go up due to an increased demand, he said. This will be a two-stage process where the sponsorship application will need to be approved before the visa applicant can apply for a visa. Migration expert Rohit Mohan said that although it’s a good move to save the prospective applicants from domestic violence, it’ll lead to further delays in visa approvals. Is Australia ripping off Australians with high partner visa fee? Australia’s skilled occupation lists are currently under review and the changes are likely to be implemented in July. A number of occupations were flagged for removal from the lists and some were put up for moving between different lists. The last changes in Australia’s skilled occupation lists were made in March this year at the time of making the new Temporary Skill Shortage visa available when the new Regional Occupation List (ROL) was introduced. Though at that time, the Department had said that no further changes in the lists will be made in July, but as many as 17 occupations have been flagged for removal from the list and six occupations (including Dentist and Management Accountant) for moving between different lists. Australia's skilled occupation lists are changing soon with a number of occupations likely to be removed and some moving between different lists. It is speculated that getting Australian citizenship will be much tougher if the government succeeds in passing the citizenship bill this year by introducing increased residence requirement up to four years and a mandatory English test. In an exclusive interview with SBS Punjabi, the Minister for Citizenship and Multicultural Affairs, Alan Tudge said the government may bring in a conversational, primary school level test instead of IELTS. Earlier this year, Mr Tudge told SBS News that the government was committed to implementing the citizenship reforms from July 1. While the Minister said he would still want this to happen within this year, the government is currently working on the details of the revised legislation, including the general residence period. Minister for Citizenship Alan Tudge has said the government is still consulting about an English test and the waiting period for permanent residents before they can apply for citizenship. This visa is available for the people planning to migrate to Australia for developing new or existing opportunities in the business sector. Australia has skilled migration visa schemes that allow entry of skilled migrants each year on temporary or permanent basis. Parents may be able to migrate to Australia using a Parent Visa if they have a child in Australia who is an Australian citizen, Australian permanent resident or an eligible New Zealand citizen.